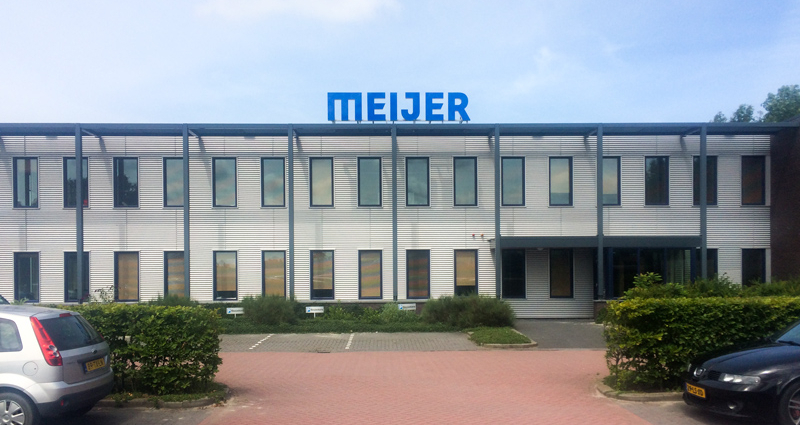 The patented hydraulic lifttruck fork, telescopic forks, that were introduced in 1980 are the core of Meijer Handling Solutions. Meijer Handling Solutions sells its telescopic forks under different, independent labels to all kinds of branches in the material handling industry. The truck-mounted forklifts are equipped with hydraulic forks in order to be able to place the load in front of the support legs or to load and unload semi trucks. The telescopic forks can be covered with stainless steel so that they comply to ATEX-95 regulations zone 1 and 2. Besides Telescopic forks Meijer Handling Solutions supplies “A state-of-the-art hydraulic system, which provides the precision necessary for placing and removing engines on a wide variety of aircraft. The HCU 6/E or 463L Master Pallet is a standardized pallet used for transporting military air cargo. It is the main air-cargo pallet used by the United States Air Force and was designed for loading and unloading modern-day military airlifters, as well as numerous civilian Civil Reserve Air Fleet (CRAF) cargo aircraft. Rollerized Tine Extenders (RTEs) form an alternative solution for ROLLERFORKS® model RFCU. RTE forks consist of a hollow cross-section with a single layer of rollers on each side. They can be fitted to regular forklift truck tines like a sleeve and secured using locking pins. Used in this way, rollers are unable to descend so the load remains seated on the rollers at all times. RTE forks have been fitted with a stop to prevent the load sliding off the rollers whenever the forklift truck brakes. The load can be pushed or rolled off the forks manually if the mast is tilted forwards and the stops have been folded out of the way. ROLLERFORKS® are ideally suited for lifting and placing aircraft containers and/or air cargo pallets, e.g. 463L pallets. Patented ROLLERFORKS® are solid forklift truck tines fitted with two layers of rollers that rotate in opposite directions to one another. The tines have a special-purpose, parabolic nose shape that can be easily inserted beneath cargo pallets. Because the rollers rotate in opposite directions, the load remains stationary and the forks can be rolled easily into place beneath the load. The ease with which cargo pallets can be lifted using ROLLERFORKS® is also due to the chamfered lower edges of the pallets/containers used. The rollers descend as soon as the pallet/container is raised and the ROLLERFORKS® have been lifted clear of the floor. This allows the load to descend onto the flat portion of the forks rather than rest on the rollers so that the load is fixed and cannot roll off. Rollers have to be in contact with a surface in order to be able to remove the load from the ROLLERFORKS®. In most cases, the cargo pallets will have to be lifted because the cargo pallet has to be pushed into the hold of the aircraft. An option exists to modify ROLLERFORKS® so that rollers do NOT descend allowing the load to remain on the rollers even once the forks have been lifted clear of the ground. This model (RFCU ) has another advantage because the load can be lifted directly off the floor because of the parabolic taper. Special-purpose solutions are then no longer needed for placing airfreight pallets on blocks as is the case with Rollerized Tine Extenders.